Founded in 2005, Advanced O&P Solutions was created to serve the O&P industry on a national level. In the years since we opened, we have developed a reputation for providing our clients with the products they can rely on to WOW! their patients. To further expand our WOW! service, we have created the Digital Manufacturing Lab (DML) to provide the most innovative solutions available. The DML has the capabilities to meet all of your engineering and design expectations. We can accept most file formats. Our customers trust that we will give them and their patients only the best custom orthotic and prosthetic solutions, as well as exceptional service. Call, visit our website, or e-mail us at info@aopsolutions.com to experience our WOW! service. We help your patients ponder something other than the fit of their prostheses. For more information, call, visit our website, or e-mail us at info@pinnlab.com. Do you treat idiopathic toe walking? For over ten years, we have been using this design in the vast majority of the cases we see. For the right patient, this design works exceptionally well to establish a normal heeltoe gait pattern. We have found that physical therapists prefer this design as it is less invasive and lower profile than hinged AFOs. Exciting news: WillowWood will be opening a new custom fabrication facility in Utah to serve clinicians in the western United States. 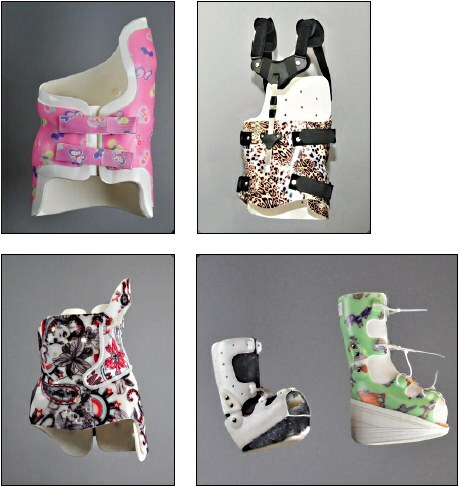 Tillges Technologies is your go-to central fabrication facility for custom orthotic and prosthetic devices. Our highly skilled technicians and certifi ed practitioners fabricate our custom made devices on-site. We pride ourselves on LEAN initiatives to provide you with the best product available on the market. Cascade Dafo, creator of the original DAFO® (Dynamic Ankle Foot Orthosis), is the industry's leading manufacturer of pediatric lowerlimb braces. The patient-focused company believes better mobility gives all children a wider range of experiences, more success in their activities, and ultimately more control over their lives. To that end, Cascade Dafo creates innovative products unmatched in quality, fit, and function—backed with a full 90-day warranty and exceptional customer support. The company's product designs, technical support, education, and research and development have a sole focus: helping kids lead healthier, happier lives. Spinal Technology is the exclusive manufacturer of the Providence Scoliosis System, a nocturnal bracing system designed to prevent the progression of scoliosis, and the patented FlexFoam™ spinal orthosis. 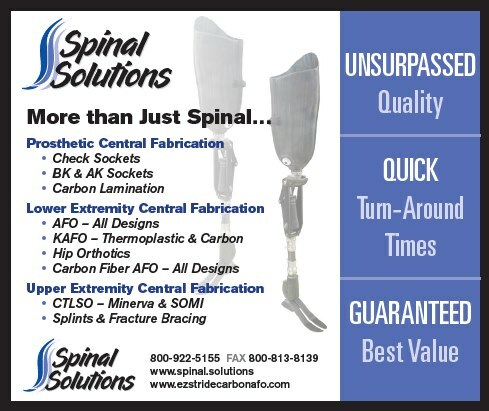 Call, visit our website, or e-mail us at info@spinaltech.com for more information. M3DScan lets clinicians take accurate 3D scans and measurements of a patient's body directly on an iPad. The process takes less than 30 seconds and is as simple as taking a picture. M3DScan also includes built-in measurement and processing tools that rival expensive desktop software, making the fitting process fast, simple, and more affordable. Call Alex Rablau, email alex@mirage-3d.com, or visit our website. Our advanced O&P specialists specialize in PDE bracing, IDEOs and other composite styles, Click Medical adjustable sockets, HiFi sockets, and elevated vacuum and upper-limb devices. Need CAD/CAM? We have you covered. Make more possible with Fabtech Systems as your C-Fab partner. 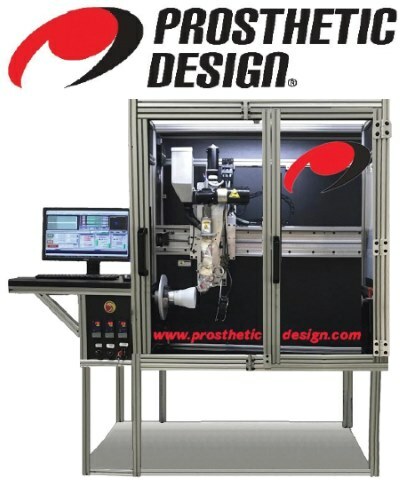 Prosthetic Design (PDI) introduces PDI-printed central fabrication. PDI's fourth-generation Squirt Shape™ 3D printer fabricates definitive, weight bearing lower-limb sockets with a phenomenally secure and comfortable fit. Apart from your traditional socket, PDI-printed sockets provide an exceptional fit due to their layered ridges. We guarantee a two-day turnaround time, but our goal is one. If you want to expand your customer base and do not accept digital files, let us carve your models. We offer a variety of high-quality central fabrication services and accept all standard digital file formats. We also accept casts. Email us at bio_info@biosculpter.com. The Ferrier Coupler provides options and is self-aligning. 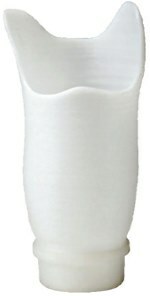 It enables the patient a complete quick disconnect or interchange in seconds without losing alignment or removing garments. It also allows for a temporary replacement limb. Models are available for most mounts. The Terra-Round access foot mounts directly inside a standard 30mm pylon. 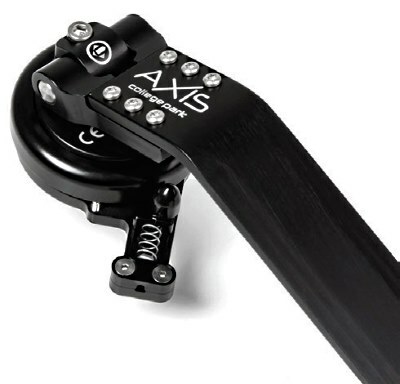 The center stem flexes to allow the unit to conform to uneven terrain. 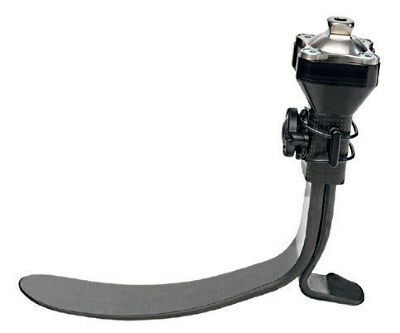 It is water-resistant and has a replaceable traction base pad. Mt. Emey OTS foot orthotics provide the ultimate support and comfort for patients while simultaneously yielding the highest profit margin for practitioners. Our intention was to create a dually satisfying product— one that could captivate the patient while economically thrilling our practitioners. Fabricated with the patient's comfort as an utmost priority, we developed a supreme cost-effective product while maintaining our durable, market-leading materials to ensure a long-lasting experience. Traditional prostheses have been fabricated primarily to restore function with little emphasis on the aesthetic appearance. ARTech's natural looking restorations are virtually undetectable. The silicone prostheses are custom fitted for the ultimate patient comfort and custom sculpted, in great detail, to the mirror image of the sound extremity. ARTech prostheses can improve gait and posture, ease lower back pain, relieve pressure on bone spurs and other sensitive areas, protect the tissue from further injury, and improve the operation of myoelectric hands. When a restoration has a natural appearance, sculpted and painted to match the opposite limb, as opposed to the robotic or mannequin look of traditional prostheses, utilization by the patient is maximized. The Aria Hybrid Valve by Cypress Adaptive was developed for use with any elevated vacuum system. Its all-in-one design features autoexpulsion, push-button release, and built-in fitting for vacuum hose connection. The barb fitting has an internal check valve to prevent loss of vacuum should the hose become damaged or disconnected. The Aria Hybrid Valve is designed for installation into all socket materials. It can be threaded into the wall of a prosthetic socket or fabricated into a thermoplastic socket using the threaded housing provided. It is durably constructed and easily disassembled for cleaning and servicing. Partial Foot, An Illustrative Guide, is a comprehensive 12-page guide for the management and fabrication of a partial foot prosthesis. Reduce friction, reduce shearing, reduce pressure, restore propulsion, restore limb length, and preserve the residual limb. The guide has professional illustrations and step-by-step instructions. We support our customers to provide better lives for patients. Call or e-mail info@allardusa.com to request your free copy. The TaiLor Made (TLM) Foot is designed with toe and heel elements that move independently, along with a vertical shock mechanical spring pack. The TLM Control Hub provides superior vertical shock that can be adjusted to suit patients' needs, and it is lightweight to help users remain nimble enough for higher level activities. At just 16 oz. 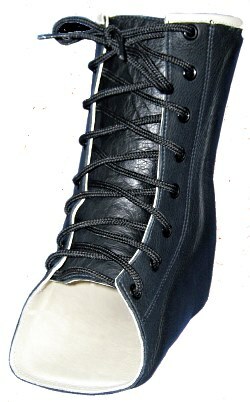 (453g), it is also one of the lightest vertical shock feet available. 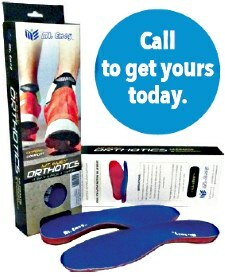 Call your local sales rep or visit www.professionals.ottobockus.com. 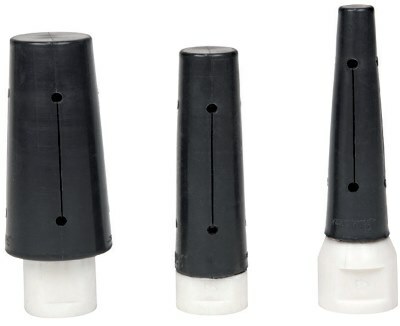 Fillauer's Trautman Expansion Arbors are designed to prevent the sanding cone from flying away. When the expansion arbor spins, it expands and applies pressure to the inside of the sanding sleeve— holding the sleeve on the arbor. 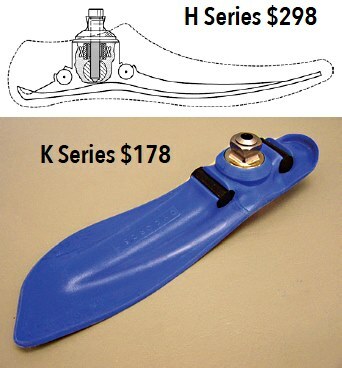 K Series prosthetic feet for patients at K-levels 1-3 weigh 6-10 oz. and precisely control dynamic loading from 112-350 lb. H Series feet match this impressive kinesiomechanical feat with the addition of an integrated vertical axis torque absorber and weigh an astounding 8-12 oz. A foot shell is included. Suggested coding for the K Series is L-5971, L-5972, L-5976 or L-5981. H Series coding is the same as the K Series, plus L-5984. Patented and patent pending.